Golden Midget Watermelons just may be the cutest thing you'll grow in your garden this season! 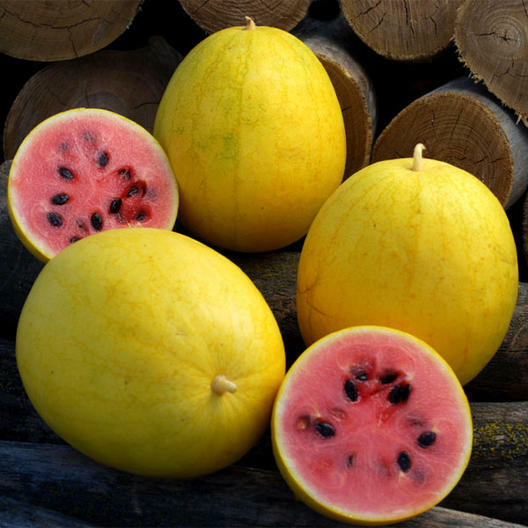 Weighing in at just 3 pounds, these small, round but slightly elongated fruits feature a pale, golden yellow rind encasing sweet, salmon colored flesh. Early to mature, these Watermelons are ready in just 70 days, making them a perfect, if somewhat unique, choice for climates with a shorter growing season.